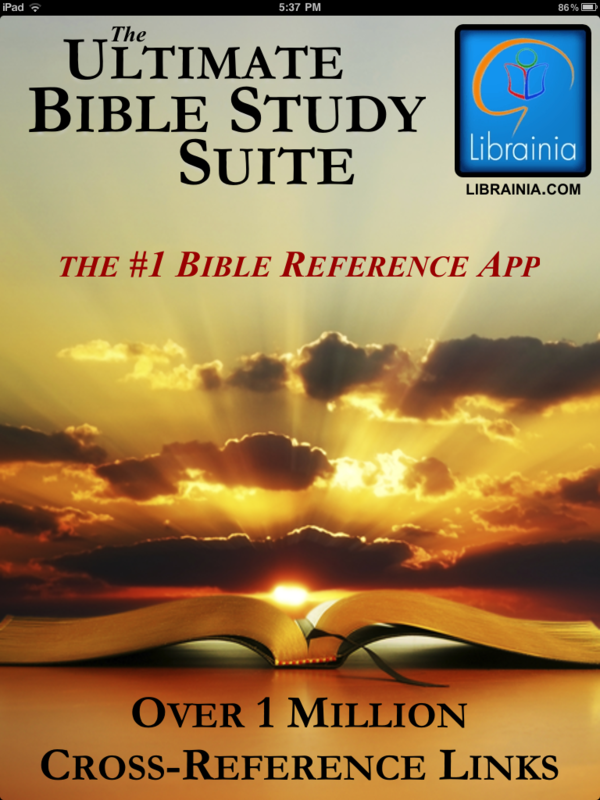 The Bible Study Suite app has undergone a complete overhaul. It is now better than ever. 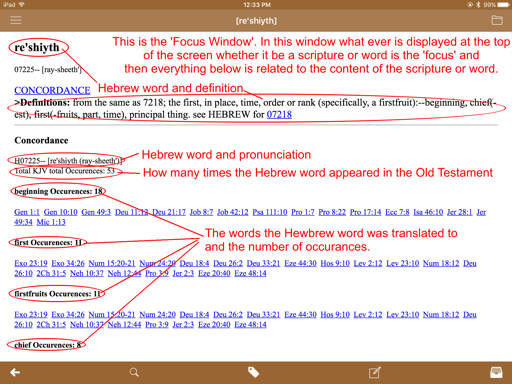 It's focus is Bible study in its purest form including links on virtually every word in the Bible to the original Hebrew and Greek word and definition. Also included is the most popular Bible Dictionaries and Topical Guides. 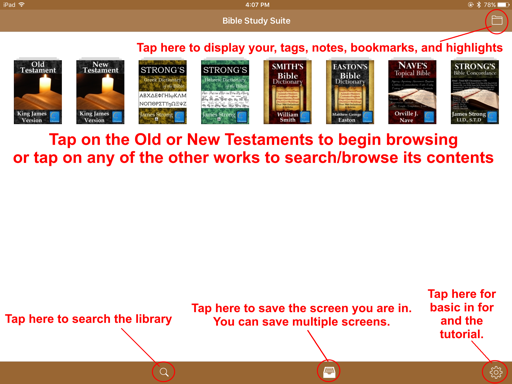 Including OVER 1 MILLION CROSS-REFERENCE LINKS between the Bible and other works, and quick access to the information you are looking for using powerful searches and navigation tools, the Bible Study Suite will make your study and understanding of the Bible more rewarding than ever before. It's complete with the ability to add custom topical tags, highlighters, personal notes, bookmarks, and more. No Kidding! This collection includes literally over ONE MILLION CROSS-REFERENCE LINKS. Virtually every word of the Bible is linked to the Hebrew and Greek dictionaries and Strong's Concordance giving you further insight to the original meaning of the passages you are reading. 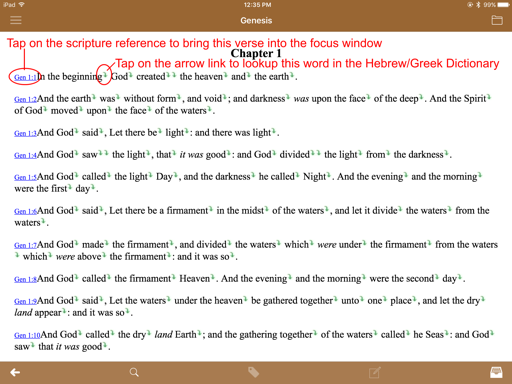 Also… the scriptures references in the dictionaries, topical guide, and concordance are linked back to the Bible. The Nave's Topical Bible includes OVER 34,000 KEY AND SUB-TOPICS listing every corresponding verse which is linked back to the Bible. 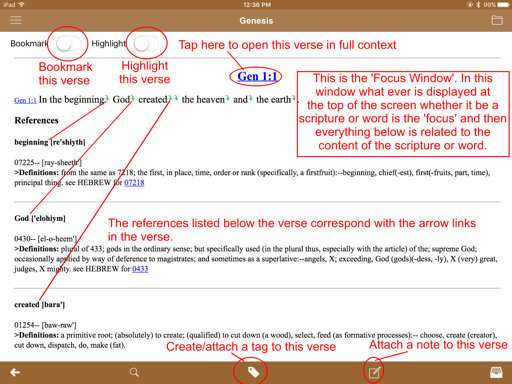 Focus View (see all cross-references from the verse or word you are studying in one convenient window.